Back row, from left: Jesse Asare (North High), Austin Odell (Hopkinton), Kweku Sam Colecraft (Abby Kelly Foster ), Harmit Raval (Milford), and Cameron LeBlanc (Burncoat0. Center row, from left: Lauren Bek (Whitinsville Christian), Audrey George (Douglas), Cali Bloem (Northbridge), Angela Vergilis (Blackstone Valley), Sam S. Pepper, Jr., UniBank President and CEO; Savannah Russell (Sutton), Danirose Billings (Hopedale), Ina Perez (Doherty), and Julia Markowski (Grafton). Front row, from left: Neve Neve Palmieri (Uxbridge) and Leana Radzik (Mass. Academy of Math and Science). The Davis Art Gallery is seeking abstract artwork for our next juried exhibit: Nonobjective NOW. Various 2D and 3D media will be selected for the exhibit, including drawing, painting, sculpture, ceramics, mixed media, photography, fiber arts and more. The gallery will select approximately 35 to 45 artworks that will appear in the main exhibition space at the gallery, 44 Portland St., from Sept. 22 to Jan. 5. An opening reception will be held from 5 to 7 p.m. Friday, Sept. 22. Entry deadline is Aug. 21. 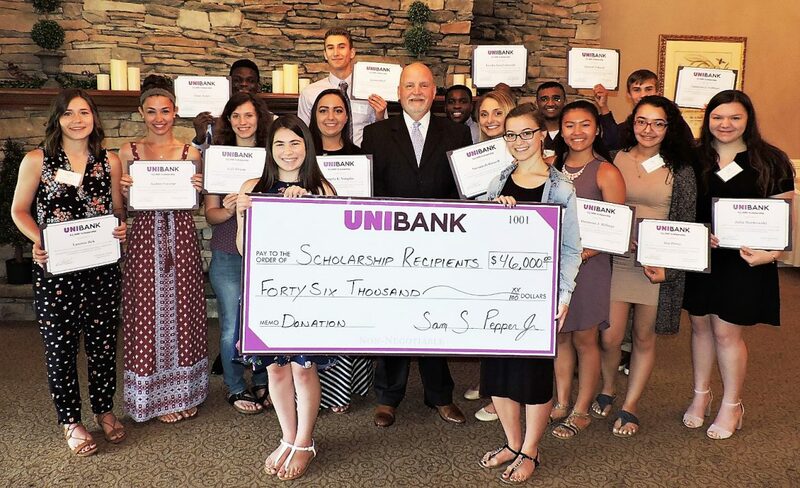 UniBank awarded a total of $46,000 in scholarships to 23 graduates from high schools in Worcester, Blackstone, Douglas, Grafton, Hopedale, Hopkinton, Milford, Shrewsbury, Sutton, Upton, Uxbridge and Whitinsville. UniBank offers annual scholarships to support the educational endeavors of exceptional students in the towns served by UniBank branches in Central Massachusetts and MetroWest. Each school selected a winner using UniBank’s qualifying criteria: character, involvement in school or community activities, financial need and academic achievement. Scholarship winners and their parents were honored at a recent breakfast reception at Pleasant Valley Country Club in Sutton hosted by UniBank President and CEO Sam S. Pepper Jr. WISE offers more than 70 courses each year, covering topics in literature, science, music, history, art, law, technology, cinema and more. Its partnerships with organizations such as Mass Audubon, the Worcester Art Museum, Tower Hill and the Worcester Historical Museum enable WISE members to engage in the local community while enhancing their knowledge and keeping their brains active. During its quarter-century of service, WISE has provided courses, travel opportunities, and special events to several hundred people each year. Registration for the fall and winter sessions of WISE courses begins July 19. The course catalog will be available at the WISE website www.assumption.edu/wise at the end of June. Organizers of Worcester’s Columbus Day parade have announced that Mauro DePasquale will be this year’s grand marshal. The parade will take place at 12:30 p.m. Sunday, Oct. 8, on Shrewsbury Street. DePasquale is executive director of Worcester Community Cable Access. He is also president of the Our Lady of Mount Carmel Preservation Society, and a member of the musical trio Jazzed up. The Grand Marshal “Outstanding Italian” banquet in DePasquale’s honor is 6 p.m. Saturday, Sept. 16, at the Manor in West Boylston. Tickets are on sale now. 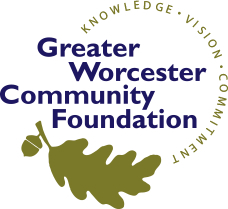 The Greater Worcester Community Foundation’s Community Grant Program is now accepting applications. Community Grants support nonprofit organizations that build healthy and vibrant communities in Central Massachusetts. They are made possible by donors who have set up endowment funds with us for this purpose. The typical grant range is $5,000 to $25,000. In its third annual study, the financial website SmartAsset analyzed Social Security income, cost of living data, and taxes across all counties to determine where people are getting the most mileage out of Social Security. Worcester ranked as the second-most affordable county in Massachusetts. The annual cost of living of $20,008 makes it the third-most affordable county in the commonwealth. The annual Social Security benefits of $17,333 ranked sixth. Hampshire County was ranked as most affordable for those on Social Security.